The commercial cleaning industry nets nearly $127 billion dollars annually and some economists have called it a recession-proof industry. Jani-King has been at the forefront of this industry for over 40 years, and is here to help if you are ready to take control of your financial future and start your own cleaning franchise. Commercial cleaning is a broad term used to define cleaning many different types of locations. For example a commercial cleaning company can clean retail stores, banks, businesses, office buildings, hospitals, hotels, schools, restaurants, the list can go on and on. What sets your business apart from the competition is how well you do your job and how close attention you pay to the details. Jani-King can help you specialize your cleaning efforts for your specific area and help you market yourself and your new franchise to the surrounding local businesses. When starting your own commercial cleaning business there are two roads you can take: you can start a cleaning company on your own, or you can start a cleaning franchise. Both options have their pros and cons, but it’ s up to you to decide which will work best for your situation. 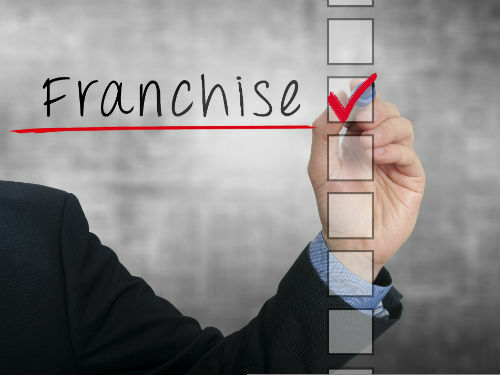 Starting your owncommercial cleaning franchise has the extremely important benefit of having an established and legitimized partner who will be able to offer you education, training, and marketing that wouldn’t be available to you if you build a cleaning business from scratch. Entrepreneurs who start a cleaning franchise with the support of Jani-King are partnering with a company who has been in business for over 40 years and understands what you need to find success. If you are ready to start the next exciting chapter in your life, give the King of Clean a call today, Jani-King call centers are waiting for your call!